bRight & Early – Up before dawn to bring you thoughts from the right. Again. Up before dawn to bring you thoughts from the right. Again. My first job was working for some family friends when I was around ten. The family owned a plant nursery, and I, along with their youngest son, helped the migrant workers in the fields. The scene that sticks with me is Brian and I planting shrub seedlings and trying to tell elephant jokes to the other workers in pidgin-Spanish. Worked at a convenience store (High School) where I was let go due needing too much time off for school activities. Two summers working with my high school’s television production program. Five summers working in the packing house of a peach farm. Night manager for Burger Chef. Over-night DJ at WPJS. Oddest firing I’ve ever heard – I was actually told they were letting me go because I “didn’t get to work until just before my shift started and then I would leave when it was over.” What? I thought that was how a job worked. Over 18 years at a chemical plant; first as an operator and then most of that time as a lab technician. Selling cheap life insurance to poor people. I have never disliked a job more in my life. Sears – Hardware, Lawn & Garden, and Electronics. I really liked this job, and I like to think I was pretty good at it. Call center part I – I started on the phones, worked on several different client programs, and was eventually put in charge of Workforce Management. I walked away for several months and then returned to the same position. After a merger with another company the department grew to four times the original size (me and one other). I had found something I really enjoyed and was planning on a long tenure there. And then we were outsourced. Our entire department’s functions were moved to the Philippines. So, in my fifties I was looking for work again. Call center part II – Began working for Merlin Entertainments, the parent company of LEGOLAND® and their other properties. When my hours started to be reduced (that’s a whole other story about how they roll in the UK) I found a new job. Call center part III – Hilton. The work was OK, but the commute was brutal. Add to that the fact that this happened when gas was about $4/gal. and I was struggling to make enough money just to make it back and forth to work. Not a good situation to say the least. Call center part IV – Back at Merlin. Several month in I was given full-time status which meant benefits and avoiding seasonal hour cuts. Best of all I was doing something I really enjoyed. November, 2017 – I turned 62. The government says I can start drawing my Social Security, and I can start receiving my pension from the chemical plant. While I cut back on my hours significantly and semi-semi-retired in December, today is my last official day of full-time employment. And that brings us to the title of this post – “Retirement’s Odd Cousin”. That familial odd duck is Semi-Retirement. Perhaps the weirdest thing is that tomorrow, the day after my “retirement” I’m on the schedule. Monday too. And then it’s six days off. Six! Most of my vacations haven’t been that long. I have been counting down to this day since I made the decision in August. Today the countdown reaches zero. Well, except for working the next two days. Semi-retirement, you are the retirement relative to whom no one quite knows how to react. That’s OK. After 50 years in the workforce I’m looking forward to getting to know you quite well. Posted on January 13, 2018 January 13, 2018 by JimPosted in Me Me Me, Retirement, WorkTagged Retirement, Semi-retirement, Work. Florida. The land of the permanent turn signal, early bird specials, beaches, rocket launches, theme parks, and… temperatures in the 30’s? That’s right, the forecast for the next four days calls for overnight lows into the 30’s, including the next three nights at or below freezing! I know my friends up north don’t want to hear about this, but for those of us in the sunshine state freezing temperatures are near apocalyptic. How will we survive? Easy. By Monday it should be back in the 70’s. Whew. Posted on January 3, 2018 January 3, 2018 by JimPosted in WeatherTagged Cold, Florida, Freezing, Weather. Happy New Year and Welcome to 2018. Here are some random thoughts regarding the year past and the one to come. In 2017 I accomplished something I’ve wanted to do for years (and should have done years ago) – I read the entire bible. I used the Classic Reading Plan from BibleStudyTools.com to receive three passages each day. I only missed a couple of days due to the internet being out during hurricane Irma, and caught up once we had power again. What a blessed sense of accomplishment to reading the entire Bible. Thank you Lord! I am looking forward to doing it again this year. One thing that helped was making that reading a daily habit. Each morning I would open my email, delete the new junk that had accumulated over night, and begin reading. After that I would start my other year long accomplishment – deleting part of the twelve years of email in my gmail account as I mentioned here. I am happy to say that I am down to around 400 total emails, almost all that I want to save for some reason or another along with a few that will be deleted once their usefulness has passed. Now, about Irma. The storm came to Florida on September 10th leaving us without power for a few days. We were uncomfortable, but safe. Our property, however, did see some significant damage. Behind the house we lost two trees, and a lot of other branches. The trees fell away from the house and cars, praise God. The other good news about the trees is that we have talked about taking them down anyway. Now they are (mostly) down, although I still have quite a bit of cleanup yet to do. The damage to the house was a front bedroom that was originally a porch. The shingles blew off letting in the rain. That soaked the Sheetrock on the ceiling which collapsed on the floor ruining the carpeting. So far I have pulled up the carpet, put new plywood, felt, and shingles on the roof (well, almost done). Next up will be finishing the roof and then putting up new ceiling. The floor, not carpet, will be next and then the room will have to be partially repainted. Another milestone in 2017 was my 62nd birthday. What makes that significant is that the government says that is the earliest that I can start drawing my Social Security check, although my “normal” retirement date would be February of 2021. With that in mind I have been transitioning from full to part-time at work. Instead of a 40ish hour work week I will be working about five days per two week pay period. I am thrilled that one of my first new schedules has me off for six straight days! Of course retirement (or even semi-retirement) does not equal leisure. There are quite a few projects around here that will take up a good part of my time. In addition to the bedroom repairs and finishing taking down the rest of those darn trees I am looking forward to starting a nice garden. Then there are the normal repairs, upgrades, and remodels you have with any home. Hopefully I’ll still have some time for more leisurely pursuits like leveling up some Alts on WoW and, who knows, writing more here. Finally, I pray that your new year will be filled with peace, joy, happiness and accomplishment. Here’s to a great 2018. Posted on January 2, 2018 by JimPosted in Me Me Me, WorkTagged 2017, 2018, Home, Irma, New Year, Retirement, Work. Yeah, yeah, I know, I’ve had more new starts than all the racers of NASCAR combined. Well here’s another one. Why? A couple of reasons. Yesterday was my 62nd birthday. Birthdays, to me, have always been like New Years Day, a chance to take a look at how things have been and how they could be. A chance to look back and to look to the future. And not to be maudlin, but unless I live to be 125 I have a lot more to look back on then I do to look forward to. Speaking of looking back, let me tell you about a little exercise I’ve been doing all of this year. No, not that kind of exercise. That’s a subject for another post. Every day this year when I’ve got on the computer in the morning I’ve deleted the unneeded emails from that date for each year going back to when I started on Gmail in 2005. It’s been interesting. Most of it should have been trashed long ago. I doubt that anyone is going to honor that 12 year old coupon today. Some of it is personal and not deleted. A somewhat surprising amount is incomprehensible – back and forth on unremembered topics that were obviously important then, but unreadable today with out the long forgotten context. Finally, there were more than a few that just made me cringe. Things I said, opinions I espoused, and comments I made that at the very least make me wonder just what was I thinking? It’s not all gazing in the rear-view mirror. There are still things I’d like to do. Some I’ll write about here, others will remain unannounced until they’re accomplished. (One thing I’ve been way too guilty of in the past is having and announcing “Grand Ideas” without putting in grand thought and planning first.) Another thing I’m not going to do, at least for now, is promote anything I write here. If you read it, you read it. If no one reads it I’m fine with that too. I’ve reached the point where I realize I really don’t care either way. Perhaps that’s growth. Posted on November 27, 2017 November 27, 2017 by JimPosted in Blogs and BloggingTagged Birthday, Blogging, My life, Site News. Sometimes I wonder if some people, when they make certain life choices, realize that those decisions scream “life of crime ahead”? For instance, when you legally change your name to Beezow Doo-doo Zopittybop-bop-bop. A man whose legal name is Beezow Doo-doo Zopittybop-bop-bop was arrested over the weekend after officials say he assaulted a state college police officer and a deputy in Washington. Thurston County Sheriff’s Office records later showed that Zopittybop-bop-bop was arrested and charged with one count each of first-degree assault, third-degree assault, third-degree malicious mischief and malicious harassment. FOX 23 News reports that Prosecutor Mark Thompson was unable to verify Zopittybop-bop-bop’s legal name, so he deferred to his original name, Jeffrey Drew Wilschke. Apparently Wilschke legally changed his name to Beezow Doo-doo Zopittybop-bop-bop in 2011. This arrest reportedly isn’t his first since the name change. 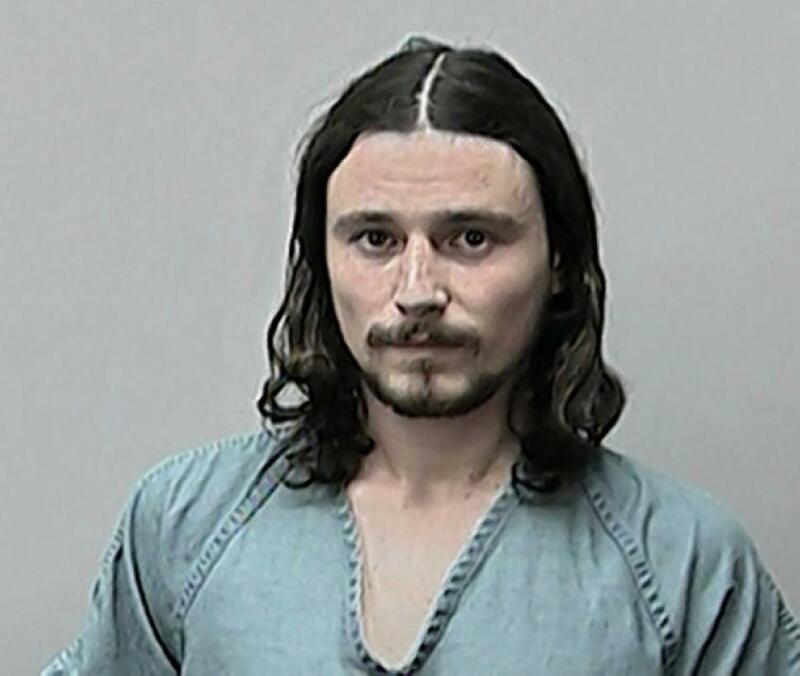 According to FOX 23, Zopittybop-bop-bop was arrested on weapons and drug charges in 2012 and in 2013. Posted on February 3, 2016 by JimPosted in A Bit Odd, StupidityTagged Beezow Doo-doo Zopittybop-bop-bop, Jeffrey Drew Wilschke. No, No, No, No, No, No, No, No, No, No, No, No, No, No, No, No, No, No, No, No, No, No, No, No. For those of you who don’t want to count that’s 24 No’s to this. Fox is officially making time for more 24, albeit sans original star Kiefer Sutherland. The network announced on Friday that it has ordered a pilot for 24: Legacy, a potential new series that will feature an “all-new cast of characters” yet retain the “real-time, pulse-pounding, fast-paced format with split screens and complex interweaving storylines” of the original. You get the idea. Wyatt, and the rest of the B4B crew, help me out here. There were two Philadelphia related coaching moves yesterday as former head coach Chip Kelly was hired by the San Francisco 49ers and then later in the day it was reported that the Eagles will hire Kansas City OC and former Eagle QB Doug Pederson to be their head coach. 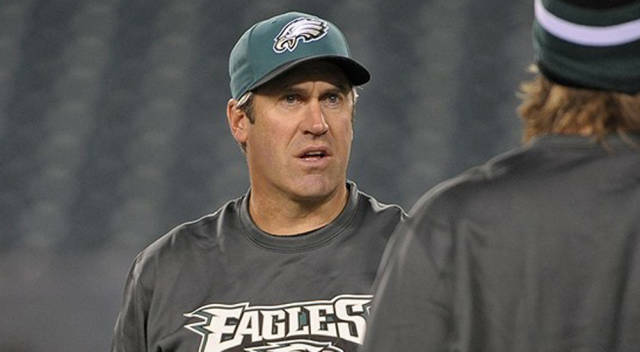 Owner Jeffrey Lurie has chosen Kansas City offensive coordinator Doug Pederson to replace Chip Kelly, NFL Media Insider Ian Rapoport reported, via a source informed of the situation. The Eagles cannot announce the hiring until the Chiefs are eliminated from the postseason. The Chiefs play the Patriots on Saturday afternoon. I imagine Eagles fans will be watching that game with a bit more interest than would otherwise be the case. Of course you wouldn’t get quite that much. Let’s say you take the lump sum payout and get half; that’s a check for $650,000,000.00 before the tax man takes his pound of flesh. For funsies we’ll say that it’s cut in half again, so now you pop down to the bank and deposit $325,000,000.00 and because you have the financial acumen of Bernie Sanders it’s in an account that generates no interest. What will you do with all that scratch? I’m sure that you think it would be easy to spend those riches, but let’s examine what you would have to do. If you like round numbers and decided to spend $10,000.00 a day you would run out of money in 32,500 days or just over 89 years! Now, since I just turned 60 and the odds against me living to be 150 are pretty slim, spending ten grand a day isn’t going to cut it. If I live to be 100 I’d have to spend $22,260.27 a day for the rest of my life in order to leave nothing behind. That means I’ll have to save up for almost two weeks to buy a quarter million dollar home. If you don’t want the pressure of having to spend all that money and you’re totally civic minded? No problem. You can pay down the interest on the national debt. For one day. Less than a day actually. Your $325,000,000.00 would pay for less than 23 hours of the 2015 interest on that debt. Now that’s staggering. Come on. You’ve all imagined winning. What would you do with the money? A head coaching job in the NFL is shakier than Bernie Sanders grasp of economics, but the latest coaching change is still a bit of a surprise. So it was a shock when, at 10:21 p.m. ET on Tuesday, the Buccaneers tweeted out the news that Smith was fired after just two seasons with the team. Smith’s first season with the Buccaneers was awful, as a talented roster sunk so low it went 2-14 and got the No. 1 pick. But that pick turned into quarterback Jameis Winston, who helped the Buccaneers improve to 6-10 this season. Things were looking up for the Buccaneers and Smith, or so it seemed. The Buccaneers are an intriguing team. Winston had a good rookie season and the future looks bright for him. They have some elite players like David, defensive tackle Gerald McCoy and receiver Mike Evans, and there are other good young players elsewhere on the roster. The Buccaneers also have the fourth-most cap room going into the offseason, about $52 million based on a projected $150 million cap according to OverTheCap.com. Smith seemed like he’d get a chance to develop those players and build a winner, but the Buccaneers surprised everyone on Tuesday night and decided to move in a different direction. Smith seemed to be popular with fans, and more importantly his players. On the other hand nothing, and no one, is as popular as winning. I’m guessing that Lovie will find a bit of love with another team soon. Posted on January 7, 2016 January 7, 2016 by JimPosted in SportsTagged Lovie Smith, Tampa Bay Buccaneers. Last week’s post was a look at the year ahead. We’ll revisit that post in 52 weeks. Without further ado (not that there’s been any ado so far) here is what will happen this week. Friends, family, and co-workers of a certain age will reminisce about making statements like, “I keep writing 2015 on all my checks.” Younger folks will ask, “what are checks?” and no one will remember the last time they actually wrote one. After an unusually warm Christmas, the same people who sounded off about the unseasonable weather will complain about the now seasonably cold cold-spell. Anyone who’s NFL team is out of the playoffs will be looking ahead to the date pitchers and catchers report to spring training. FYI – The Phillies report in 44 days. 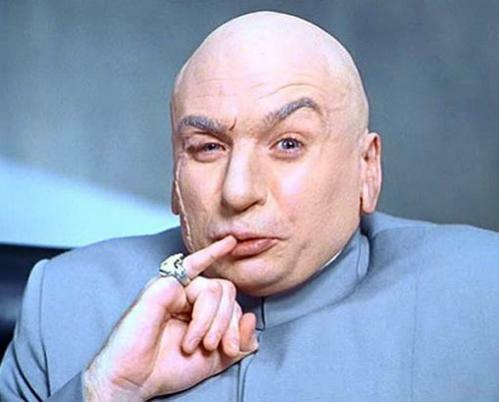 99.97% of all New Years Resolutions will have failed by the end of this week. Most will have crashed and burned spectacularly. A tractor trailer from Bic will be seen pulling up to the delivery entrance to the White House. Realizing that no one is willing to do anything to stop him, Obama will spend the final year in office ignoring Congress, The Supreme Court, and the Constitution and just rule by Presidential Decree. Well that’s your week ahead. Check back on Sunday to see how I did. Or Monday. Maybe Tuesday. We’ll see. Posted on January 5, 2016 by JimPosted in Sunday SoothsayerTagged 2016, Bic, New Years Resolutions, NFL, Philadelphia Phillies, President Obama, Weather.